With Solo: A Star Wars Story in the rear view, Jonathan Kasdan is setting his sights on Harrison Ford's other iconic character: Indiana Jones. According to a report from Collider that sites multiple sources, Kasdan has signed on to take over scripting duties on the untitled fifth Indiana Jones movie, picking up where original writer David Koepp left off. The Collider report stresses that the exact nature of Kasdan's screenwriting duties are unclear at the time of this writing. It's not publicly known when Koepp left the project, nor is it known when Kasdan joined it. Additionally, Kasdan could either be rewriting Koepp's existing script, doing a slight punch-up on what's already there, or starting over completely, meaning that it's not easy to measure yet just how much influence the Solo scribe will have over the finished movie. On top of that, the report makes it clear that Kasdan could still be co-writing the script with someone else — like possibly father Lawrence Kasdan, the screenwriter behind Raiders of the Lost Ark who also co-wrote Solo. In other words, there's a number of reasons why the script for the fifth Indy movie won't be the exclusive product of the younger Kasdan's vision. Before his work with Lucasfilm, Kasdan was known for writing credits on the series Freaks and Geeks and Dawson's Creek, having also written and directed the films The First Time and In the Land of Women. But his most high-profile job was easily the financially-disappointing, Han Solo-centric Star Wars installment. If you're among the people who happened to see and like Solo, then this news is presumably an alright fit for you. If you found Solo to be a uninspired nostalgia-fest, then this news might make your spirits sink a little. Regardless of your thoughts on Solo, one hopes that the fifth Indy movie will try and serve up something more than a parade of references to the first three movies in the storied series. Instead, the hope is that the filmmakers will really rally to tell a compelling final story for Harrison Ford's Indiana Jones. Reportedly, the fifth movie in the Indiana Jones series will move forward with what the fourth one threatened to do, passing the archaeologist adventurer torch to a new man or woman. 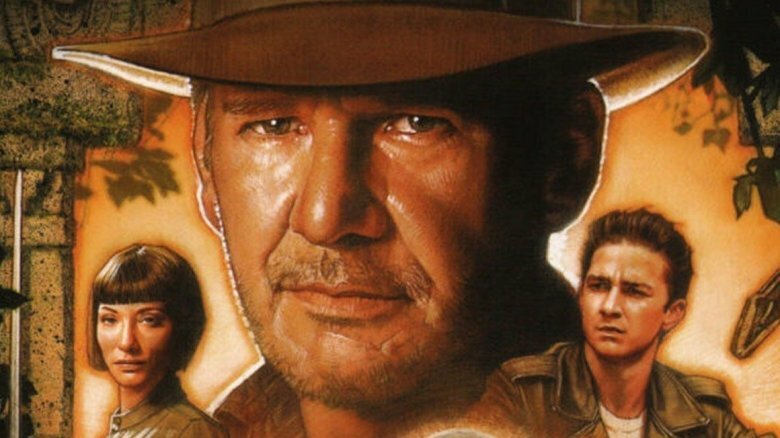 In other news that could be good or bad depending on where your loyalties lie, the fifth and final Harrison Ford Indiana Jones movie will reportedly not involve any story contributions from series producer George Lucas, nor will it involve Shia LeBoeuf's Mutt character from Kingdom of the Crystal Skull. According to long-standing rumors, the plot will center around a globetrotting search for the Fountain of Youth. The fifth Indiana Jones movie is set to be released on July 10, 2020, with production beginning in the United Kingdom in April 2019. Solo, a movie we can confidently expect no sequels for, is still in theaters now.